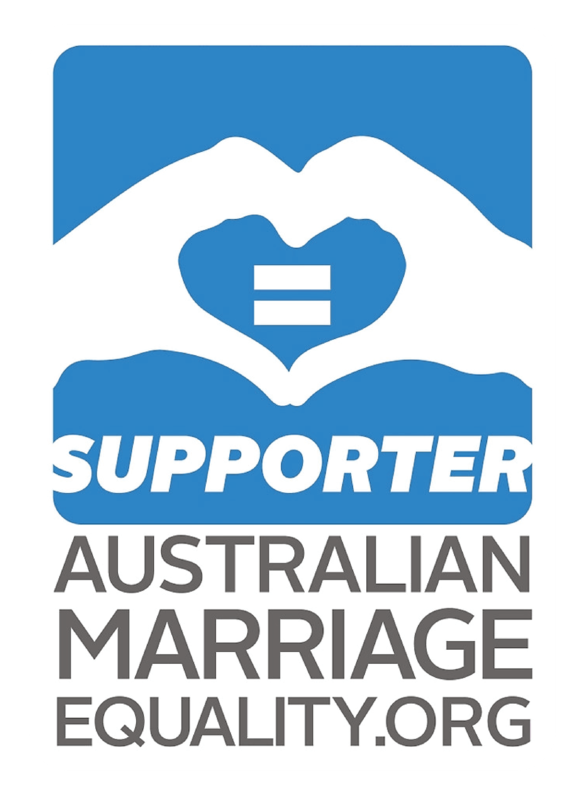 This incredible Succulence collection by local independent designer Juliet Harvey was inspired by the wreath and its symbolism in matrimony and would complement those planning a Outdoor ceremony. 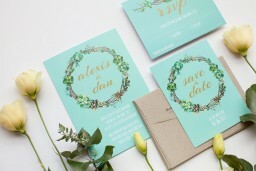 The Save the Date card from the greater Succulence collection looks stunning when printed using Metallic and here at Paperlust we think it looks best on Paperlust Premium. 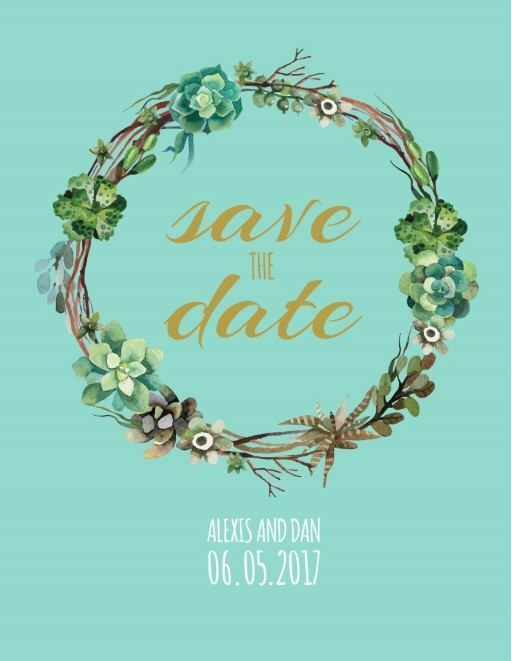 This save the date card looks stunning, due to its color, the wreath design and the gold fonts. I like how they combine to create a rustic and elegant appeal of this card.